KIEV, Ukraine -- President Viktor Yanukovych believes that due to the conduction of the Olympic Games in Sochi 2014, Russian Federation is interested in construction of the bridge across the Kerch strait, Black sea, in the Eastern Crimea. The joint resolution regarding the construction of the transport pass across the Kerch strait will be inked during the meeting of Russian President Dmitriy Medvedev with his Ukrainian counterpart scheduled for May 17-18, 2010, TSN TV channel reported. “The bridge will be constructed from the Ukrainian sea port of Kerch to the Russian port in the Krasnodarskiy region, Yanukovych said Thursday in the Crimea. “I think that Russia is interested in the construction of the bridge in terms of conduction of the Olympic Games in Sochi 2014. I believe that we, together with President Dmitriy Medvedev, May 17-18 will adopt a joint decision in regard of the bridge construction. The bridge should be constructed the quickest possible way,” Yanukovych emphasized. 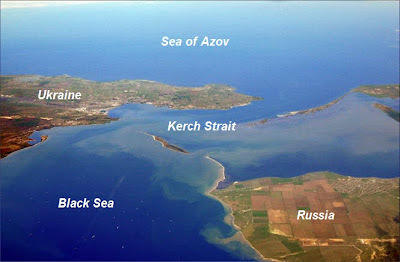 During his prime minister tenure in 2007 Yanukovych has declared that the bridge over the Kerch strait to connect the Crimea with Krasnodarskiy region would be constructed by the Euro 2012 soccer championship.